We grow garlic in and around Red Wing, Minnesota, down in the southeast corner. We are lucky to garden where we do…it’s down right beautiful. And our friends and family support us by sharing their land and barns with us. Even though the name is fairly new, we have been growing garlic for ourselves and friends for over 20 years. We’ve grown to the point that we are selling our garlic at the local Red Wing Farmers’ Market, the Minnesota Garlic Festival, and one weekend in September at the Minnesota Renaissance Festival called “The Italian” weekend. hawk’s brain is slowly adding on varieties…now growing 25 for sale. We also have inherited a test plot from Joel Girardin of Cannon Falls of Purple Stripe, Glazed Purple Stripe, Marbled Purple Stripe, and Porcelain. Thank you, Joel! Years ago I was listening to a program on the radio about the hawk migration in Duluth. The way I heard it was that the hawk’s brain is kind of translucent–that it can sense the change in the daylight hours and knows when it is time to migrate south. I thought to myself…wow..it’s just like my garlic! Garlic senses the shortening of daylight hours around summer solstice. It then stops putting it’s energy into the tall greens and puts it into the growing of the bulb underground. Now how cool is that? Hawk’s brain garlic. Minnesota Annual Garlic Tour at hawk’s brain home on July 1, 2017! last red wing market for 2016! ren fest change of location! The crop is GREAT this year!! hawk’s brain has been here all along. garlic is good this year in 2014! There’s still more garlic, winter garlic chores, phytoplasma bytoplasma ugh. This Minnesota garlic is ready to eat! Where has she been? What’s up this winter? What a couple of weeks does. 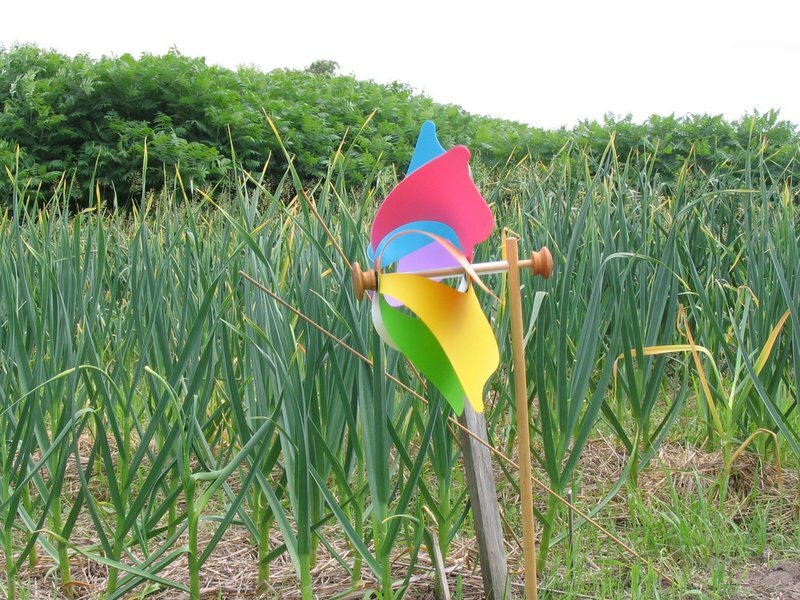 One of the garlic gardens on the Farm. Garlic tasting party-what else is there to do on Valentine’s Day?